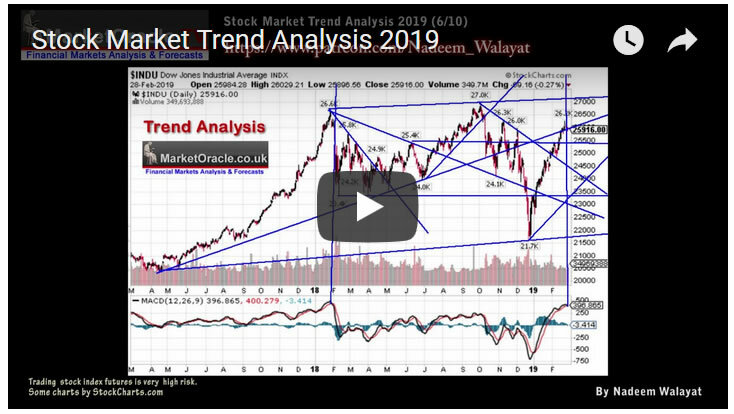 This is my sixth video in a series to conclude in a detailed trend forecast for the Stock Market Dow Stocks Index covering the period from March 2019 to September 2019. December 2018 saw panic hit the stock market on the failure of the Santa rally to materialise, as those who had bet on such a widely anticipated rally (including myself) were forced to sell out which sent the Dow plunging below support of 23,400 to a low of 21,700. Which is a reminder that we are dealing with the FUTURE, which is UNWRITTEN. 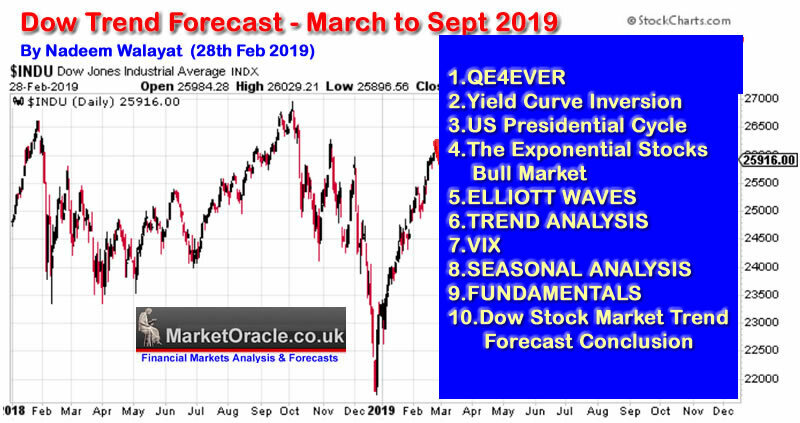 So there is always a risk that the market is not going to resolve in the anticipated direction no matter how confident one is at the time that it will.